1. 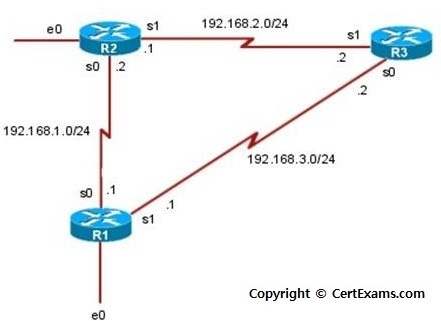 Title: RIP Routing Configuration-Scenario. Note: .1 on router 1 S0 refers to 192.1168.1.1. Similarly other IP addresses to be interpreted.